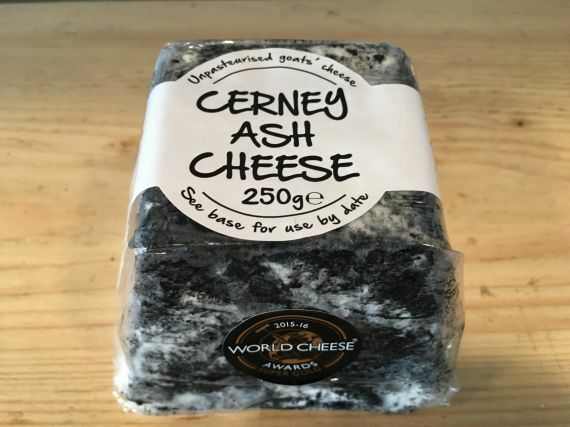 With it's light, citrus tang and mousse like texture, the Cerney Ash pyramid a wonderful goats cheese. Shaped in a truncated pyramid, like Valencay, Cernay Ash is coated in a mix of oak ash and sea salt to protect the light and fragile cheese within. Light when young, milder than one would expect for a goats cheese, although the goat flavour deepens as the cheese matures into something a little more nutty. Cerney Ash is a multiple award winning cheese, including 'Best Goat Cheese' at the 2015 World Cheese Awards and you'll see why with your first taste. We pair this cheese with other delicate flavours, so pilsner or a light summery cider is a good choice. It can also be used in cooking and adds a wonderful, creamy richness to salads and one of our favourite recipes is to have it on fried aubergine slices and then drizzled with honey. 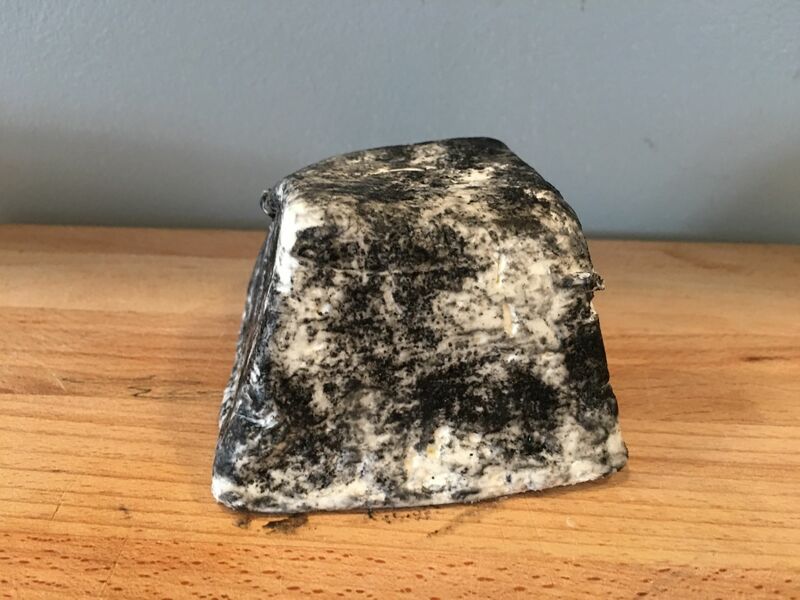 Kidderton ash is an outstanding mould ripened goats cheese with a distinctive creamy texture and delicate flavour. Light and chalky goats cheese for France with distinctive truncated pyramid shape. Ragstone is a delicious goats cheese made in Hertfordshire by Neals Yard.